Remission rate curve of 50 patients with necrotizing scleritis treated with immunosuppressive agents in CYC and OISA groups. 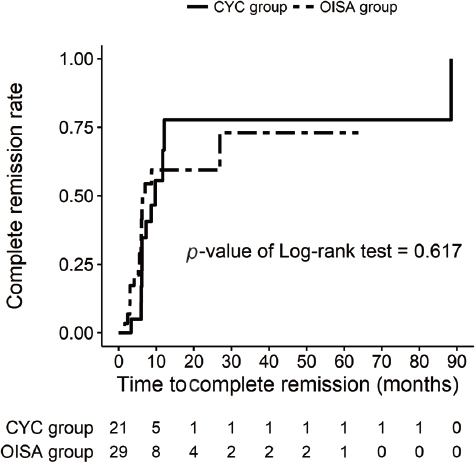 No significant difference was seen between CYC group and OISA group in either complete remission (p = 0.617, Log–Rank test). CYC = cyclophosphamide; OISA = other immunosuppressive agents.